Exploratory mining in the period from the 1950s-1970s in eastern and central Serbia near the settlements of Mokra Gora and Lajkovac revealed the existence of 1% of nickel in the ore deposits. Today the region of Mokra Gora (Municipality of Uzice) has a status of a Natural Park (NP), while central Serbia, where Lajkovac is located (Municipality of Topola) is predominantly an agricultural region. In November 2004, the Serbian Ministry of Natural Resources, Mining and Spatial Planning issued a permit to Dinara Nikl DOO, a subsidiary of European Nickel LTD, for exploratory mining at both locations. This provoked protests by local communities, that were supported by municipal governments, and the director of the NP Mokra Gora Emir Kusturica. The activists created media pressure and appealed to the Government of Serbia to withdraw the exploratory permit. The municipality governments of Uzice and Topola, predominantly focused on agricultural development, declared a ban on exploration and mining of mineral ores in their territories. The exploration permit given to the Dinara Nikl DOO was finally withdrawn by the Serbian Government after two months of intense pressure by the activists. In July 2005, Dinara Nikl DOO offered farmers in the Lajkovac region 800 USD per 100m2 of their land. The municipal government criticized these acts and announced filing a lawsuit against the company, after which Dinara Nikl DOO withdrew from the Serbian market. Project Details The mineral ores contain 0,7% of nickel. The license covers an area of 10,000 ha. Total content of nickel- 250,000,000 t an estimation. Development of Alternatives The activists demanded cancellation of the Dinara Nikl DOO's exploratory permit issued by the Ministry of Natural Resources, Mining and Spatial Planning. Why? Explain briefly. 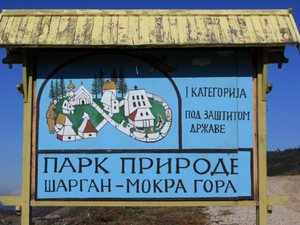 The Serbian Government withdrew the Dinara Nikl DOO's exploratory permit.